Doctor Strange #2 Review – AiPT! An adventure that’s almost impossible to resist. The first issue of Doctor Strange propelled Stephen Strange on a mission unfamiliar and exciting. With no more magic abilities, he’s shot himself into space to find any remnants to recharge and save magic as we know it. And then, of course, he gets himself thrown in alien prison the first planet he touches. Mark Waid writes introspective captions as the world passes Doctor Strange by. He has no powers but will do whatever it takes to find the magic left in the universe. Meanwhile, Jesus Saiz draws painterly images for this series that are downright gorgeous. I was skeptical of this new take on the character due to the slow pace of the last issue. This issue appears to put the pedal down on the gas as it revs up the plotting and kickstarts the true direction of the series. That’s partly because a new character is introduced who has an all-new perspective on cosmic magic. 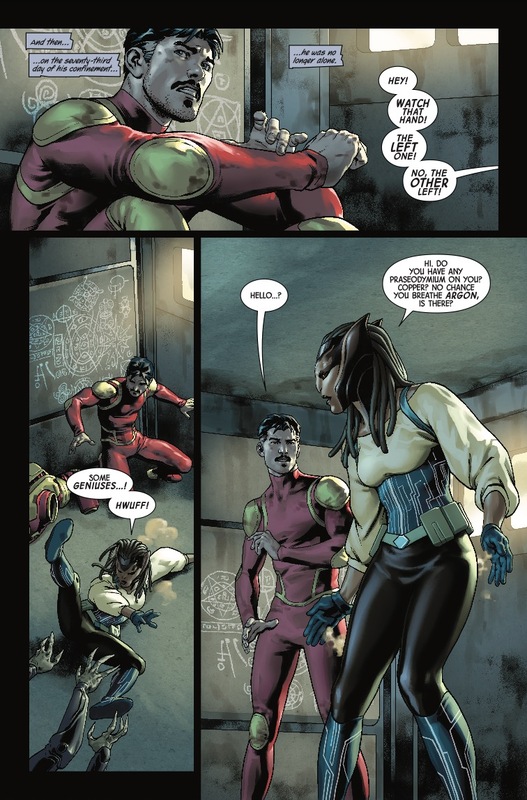 This alien character is randomly thrown into Strange’s jail only to discover she landed on a gold mine. Waid does a good job making this character spunky and self-serving, but also resourceful. She’s basically a purveyor of magical items not unlike Doctor Aphra in the Star Wars comics is a trader in ancient items. The two end up teaming up out of convenience in an excellently plotted prison break. This issue starts to make you a believer in the dejected and broken Stephen Strange. The last issue was all about his misery in being a man without his mojo and this issue begins his journey of reclaiming it. In a climactic moment late in the issue–drawn beautifully I might add–Strange ends up saving the day in dramatic fashion. It requires he risk his life and it pays off in an exciting moment. As I keep saying, Saiz is drawing some of the most beautiful comic book pages on the shelf today. The coloring he does on top of the pencils are so textured and realistic I can’t believe he can meet his deadlines. 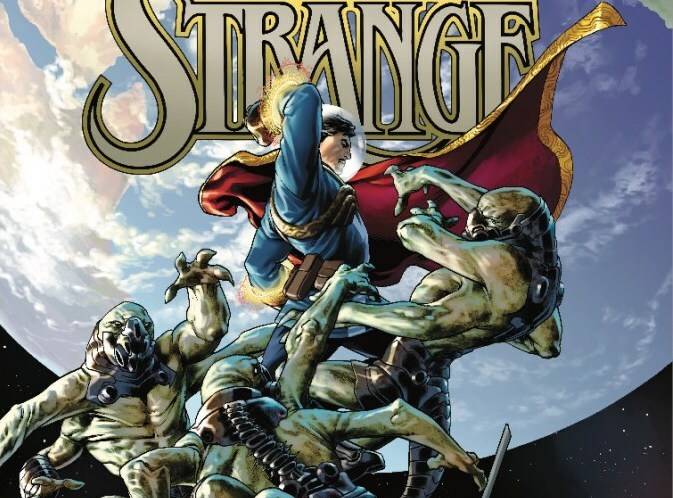 When Strange is tortured you feel it, when his new friend pops a bad guy in the head you hear it, and when we’re graced with images of space you hear it. 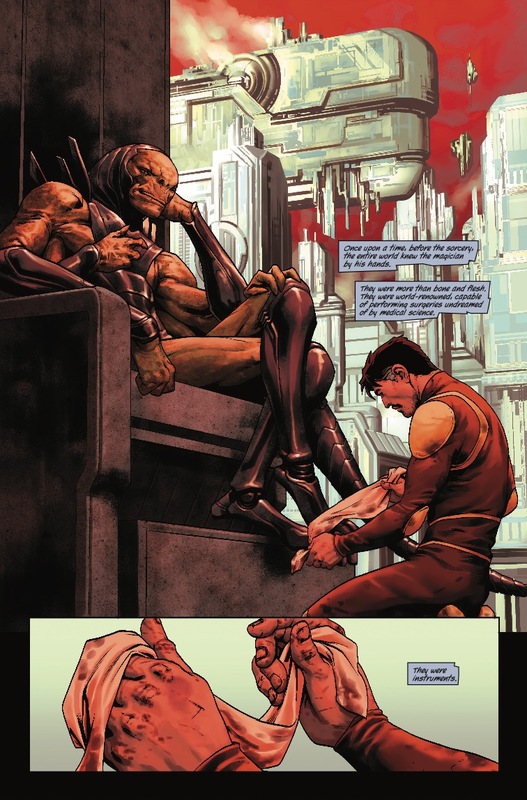 There are moments here that remind me of Juan Giménez’s work on Metabarons. It’s beautiful work. Meet Doctor Strange’s new best friend. Doctor Strange comes off as a bit too trusting of his new friend. There’s nothing said or shown to make him at the very least wary, but we’ve all seen enough prison breaks to know this probably won’t end well. He’s also lacking in humility, coming off as a victim when his lack of power could be tied to something a bit more emotional. The story is good, but Waid isn’t probing the character well enough to make his journey feel personal. The prettiest comic on the stands gets a jolt of adrenaline this week. Doctor Strange’s journey into the cosmic universe is impressive work. It’s an adventure that’s almost impossible to resist. A strong second issue gets this story arc really started.